Novotel is collaborating with Sony Pictures Releasing to celebrate the cinema release of Hotel Transylvania 3: A Monster Vacation in Australia on June 28, 2018. 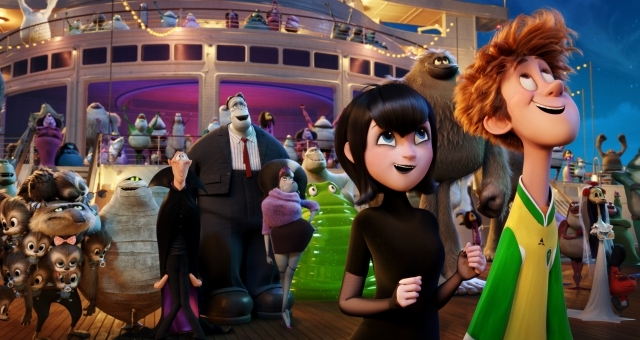 Between July 1 and September 30, Novotel hotels across the country will be decorated in Hotel Transylvania theme. With Novotel being renowned as “kid preferred”, the brand’s collaboration with Sony Pictures is a unique opportunity for children and adults to enjoy and share a fun family experience to remember. As part of the collaboration, Novotel hotels across the Australian network are planning a special surprise for a limited number of families, where they will be treated to a Hotel Transylvania 3: A Monster Vacation themed guest room. For these special guests, on entering the room, they will discover a space entirely designed based on the movie including bed linen, a throw blanket, novelty slippers, bath robes and toys. Between July and September, selected hotels will also offer kids a Hotel Transylvania 3 welcome gift pack which includes selfie sticks, mini figurines, activity sets and movie posters. The hotels will also surprise and delight families with family passes to see the movie. Novotel hotels are well known for their family friendly focus which already includes free accommodation and breakfast for children under 16, 50% off a second room for families, late check-out on Sundays, welcome gifts for kids, movie partnerships and kids corner play areas. Australia’s hottest home-grown skin care brand is now available for hotels.